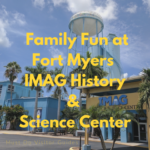 Living up to its name, Adventures in Paradise is a family-owned company that offers thrilling wildlife encounters, dolphin cruises at sunset, backwater fishing trips, and shelling that will be the highlight of your visit to Fort Myers, Florida. 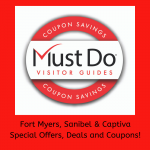 Owned and operated by the Stewart family since 1986, this Sanibel Island tour operator allows you to get up-close to local wildlife and enjoy unspoiled natural waterways on some of the best cruises in the Fort Myers and Sanibel Island area. They also operate an Outfitters store at the Tahitian Gardens Shopping Center. The expertise of Adventures in Paradise is not limited to marine life. 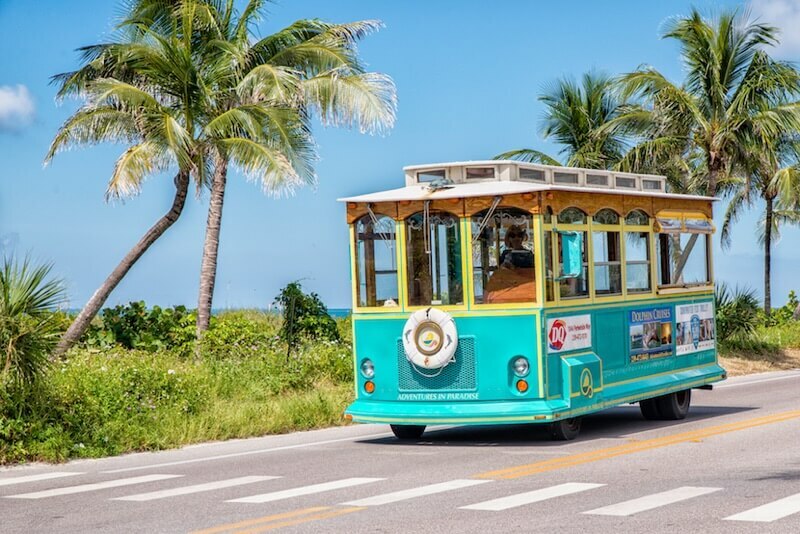 Visitors can join the narrated Sanibel Historic Trolley Tour that runs all over Sanibel Island from the lighthouse to the Historic Village. The driver/guide will point out landmarks, tell local tales, and give you plenty of tips for things to do during your stay. 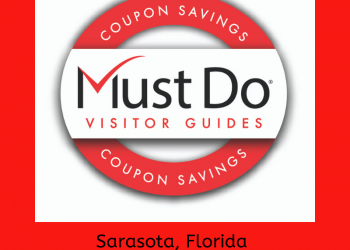 The trolley stops at over 40 major hotels and landmarks all over Sanibel Island and is the ideal way to explore without the need for a car. Free trolley picks ups are offered for all tours. A ride on the trolley is a great way to start your Adventure in Paradise! 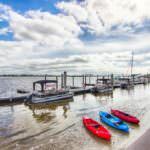 There’s a choice of seven different cruises and fishing charters and they all depart from “G” dock at Port Sanibel Marina in Fort Myers. 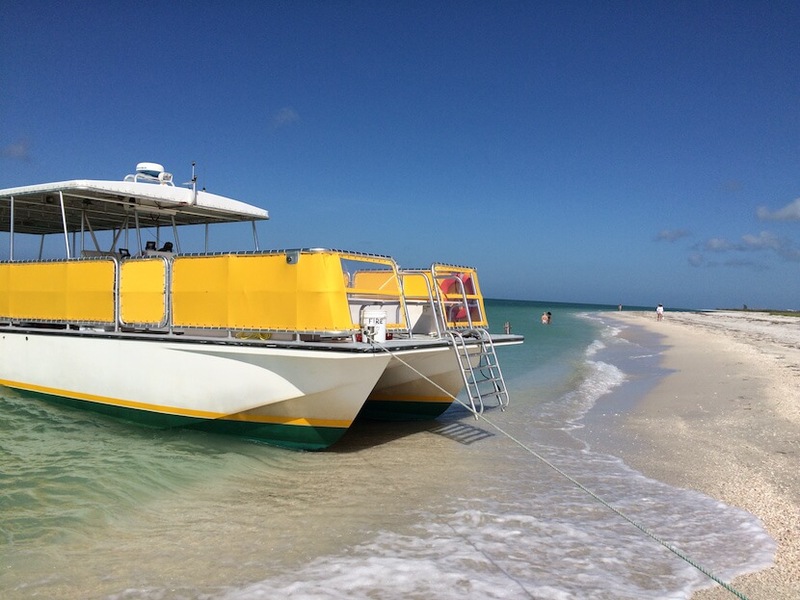 Cruises are on smooth riding catamarans with restroom facilities and space for up to 49 passengers. The waters around Sanibel and Pine Islands offer some of the best fishing in the Gulf. 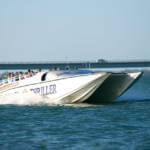 Join a charter, or book the whole boat for a family fun day catching snook, cobia, redfish, sea trout, tarpon, and more. 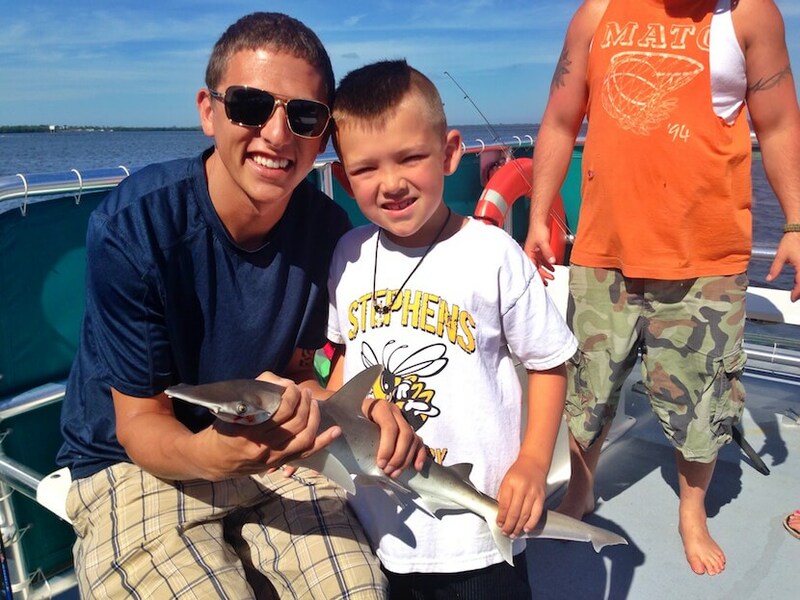 Cruises include tackle, bait, licenses, and local fishing tips are free! Kid friendly Dolphin and Wildlife Cruises are offered either in the morning or the afternoon and last for around 90 minutes. 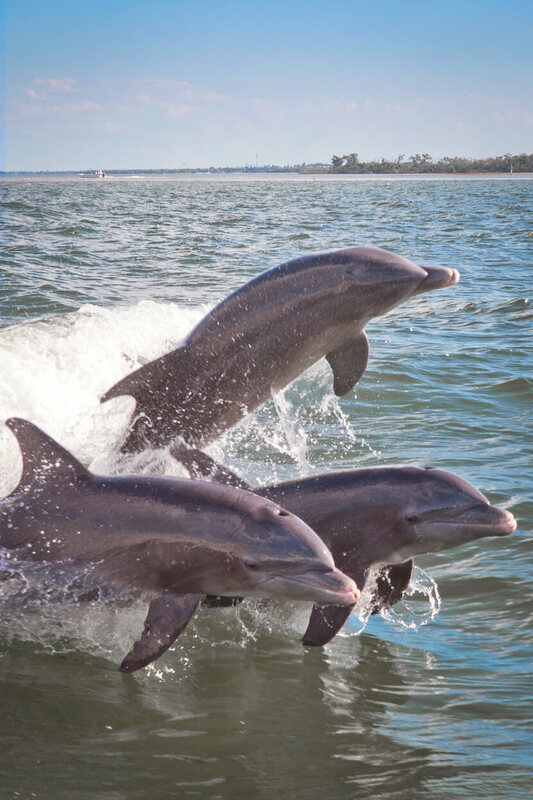 Morning cruises include complimentary pastries and soft drinks as you cruise the calm water around Sanibel and Captiva Island in search of dolphins, birds, and wildlife. You’re in good hands with the local naturalist, who will answer all your questions. Families can also enjoy the same wonderful boat and wildlife-spotting experience at sunset. Seeing the golden sun drop below the horizon as the sky turns shades of crimson, vermilion, and orange is a memorable and romantic experience. 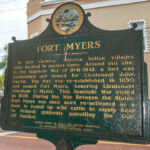 Manatees and dolphins are frequently spotted along with flocks of birds heading back to their Everglades rookeries for the night. It’s hard to imagine a more perfect day on the water than this. Head out to uninhabited beaches where shells often wash up ankle-deep along the shoreline. On the way, your captain and naturalist will point out pods of dolphins, endangered manatees, birds, sea turtles, and more on this unique 6-hour tour. This beach-oriented tour includes beach chairs and umbrellas, snorkeling gear, an assortment of swim floats and beach toys. Bring your own swimsuits, towels, shell bag, and picnic lunch or plan to eat at Barnacles as part of the stop on North Captiva Island. It could be just the time to try a Surf Side Burger or High Tide Tacos! 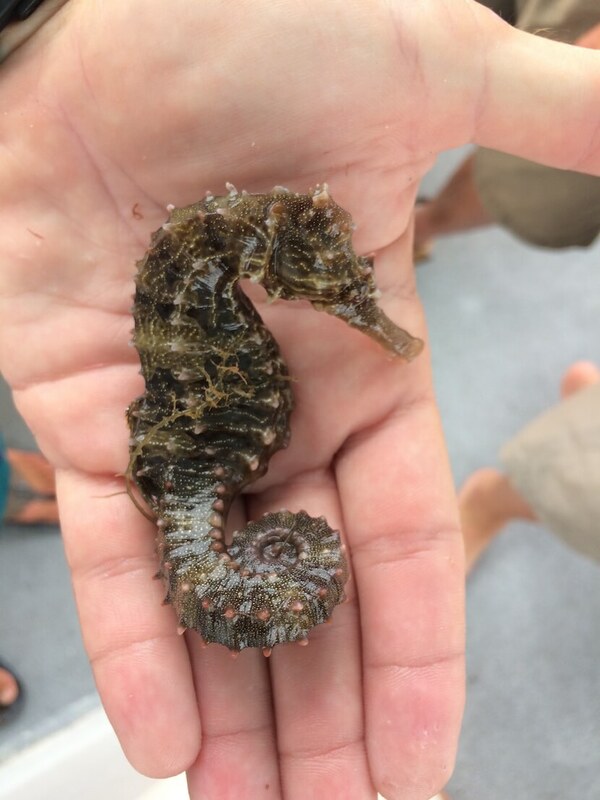 Armed with a scoop net, this 2½ hour boat trip includes getting your feet wet as you poke around in the seagrass beds looking for puffer fish, sea horses, starfish, shrimp, and more. There’s even an onboard touch tank providing a fun hands-on learning opportunity for kids and adults. 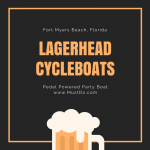 Special themed cruises are also offered on holidays, so if you’re staying on Fort Myers Beach, Sanibel, or Captiva around Valentine’s Day, Easter, Fourth of July, Thanksgiving, or Christmas then book your place on a very special Adventures in Paradise holiday cruise.